"The night the police came," Larry Davis smiled, "I was watching Rambo on my VCR." Davis and I were sitting in the visitor's area of the Metropolitan Correctional Center in lower Manhattan. The MCC is a large fortress filled with orange paint, thick Plexiglas partitions, and steel door that constantly buzz, click, and whine like robots in heat. Davis had entered the visitor's area through one of those doors, shackled along the wrists, waist, and ankles, a postmodern Kunte Kinte in federal prison browns. He was trailed by five male guards, one of whom held a video camera to record his departure from the holding area. Even in the joint, Larry Davis is a star. "Sometimes," Davis said quite seriously, "It's good to pay attention to movies, because you get what's really happening." Before the movie ended on November 19th, what was really happening in the apartment overwhelmed what was playing on the TV screen: Davis, who was wanted for the slayings of four suspected South Bronx crack dealers, faced down almost 30 cops in one of the wildest shootouts in New York history. it was all over by nine, in time for the 11 o'clock newscasts to make Larry Davis an outlaw celebrity. It was the night he became the talk of the town: a muscular young black man bursts his way out of small apartment seiged by a 27-member team of armed police officers, wounding all of them in the process. It was the night he became an urban legend, a black Billy the Kid, an adolescent gunslinger outshoots an army of cops and lives to tell about it. It was the night Larry Davis became mythic. 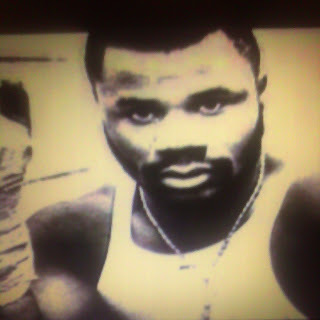 In the weeks after Davis shot the six cops, faked out the costly, nationwide manhunt for 17 days, and held a major portion of the NYPD to a standoff in the Twin Parks Houses near Fordham Road, huge black-and-white mug shot-like photos of a starry-eyed, baby-faced killer adorned the front pages of the tabloids under headlines like "They Won't Take Me Alive" and the local news anchors excitedly invoked his name at the top of every show. He was all the talk between assistant D.A. 's and reporters during court recesses, between rap DJ's and MCs during songs at the Latin Quarter, between old Jewish women and their doormen on the Upper East Side. Did Davis shoot and kill dopeboys and take off crack spots? Did he really decide (as a cop testified) that it was too crowded in his van one afternoon, and casually order a flunky to kill a man sitting in an orange Toyota for the extra room? Did he really cook a Chihuahua and eat it? I started getting phone calls from friends who couldn't stop talking about the B-boy renegade from the South Bronx. "That kid used to rock the fresh jams in the summertime in the P.S. 145 schoolyard," one buddy remembered. Another told me that, in addition to playing cops and robbers, Davis had stroked the keyboards on Goldie's Hot Tracks, a hip hop show on Manhattan Cable. I was told that Davis also sang, danced, and virtually, "turned the show out." Some of Davis's acquaintances later told me he used to watch a videotape of that show over and over in his bedroom--a space that was packed with drum machines and keyboards and doubled as an eight-track recording studio--with "that look" on his face, a sly grin and a faraway, star-struck expression. Family members say it's the look he had playing drums for the choir of the Rapture Preparation Church on Crotona Avenue in the Bronx. It's the look of an impressionable young kid who sees his name in lights on the marquee of a hit movie with a long line, or his face 70 feet high inside the darkened theater, with the crowd screaming out his name. 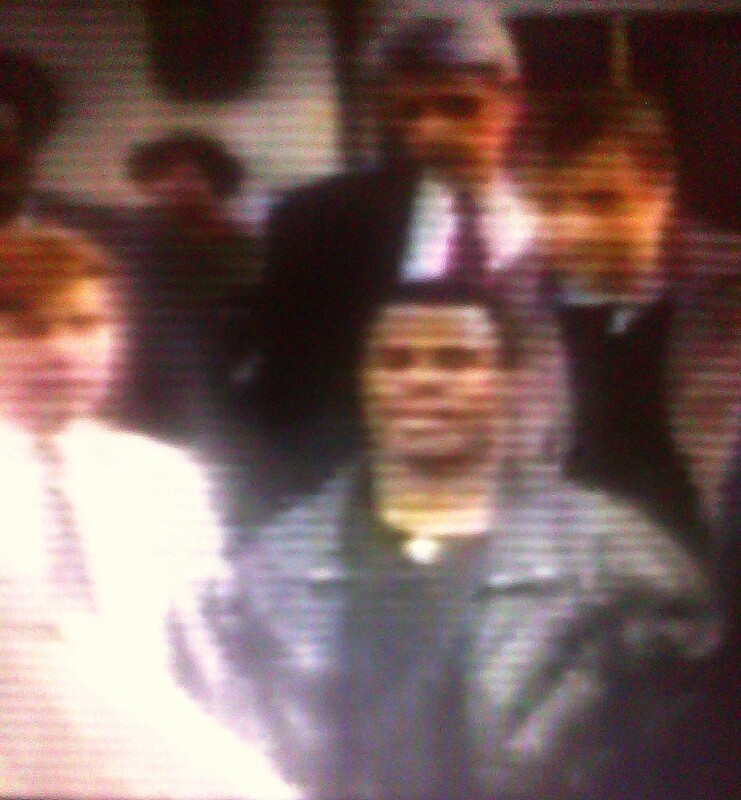 Larry Davis had a different expression on the morning of December 6, 1986. Not that he lost top billing; as if they were watching the final installment of a hit miniseries, many New Yorkers sat in front of their televisions, mesmerized through the wee hours, waiting to see if the police platoon, armed to its teeth, would kill the freaky-dangerous 20-year-old holed up in the Bronx. But as the winter sun climbed into the sky, Larry Davis surrendered peacefully, taken away amid a swarm of helicopters, a heavily armed NYPD battalion, city officials, reporters, detractors, and hero worshipers. As the short, muscular, and leather-jacketed fugitive climbed into the paddy wagon, bathed in the jubilant but, at least in some quarters, sarcastic chant of "Lah-ree! Lah-ree!" rising from the courtyard of the Twin Parks West housing project, his face registered foggy apprehension and uncertainty. In lieu of the faraway gaze of the visionary, Larry Davis had the glassy-eyed look of a little boy who had woken up in the middle of a nightmare. 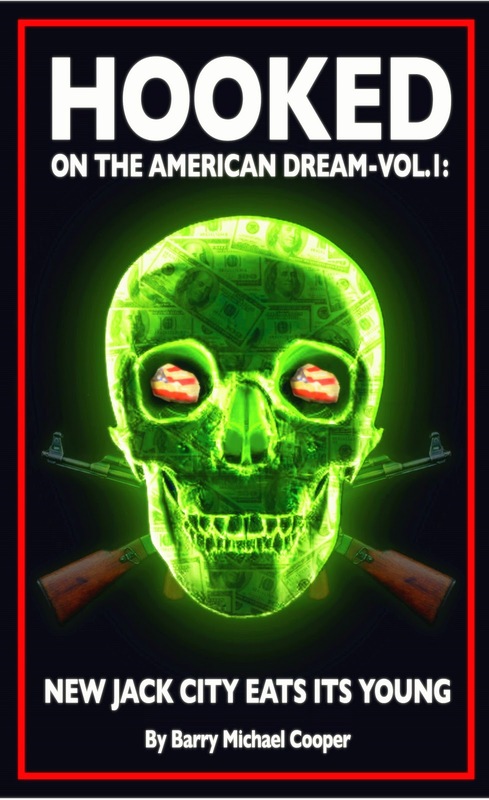 Read the full "The Larry Davis Show" cover story in my debut anthology of street journalism from the 1980s (and more current essays), titled "Hooked On The American Dream-Vol.1: New Jack City Eats Its Young," which is now available on Kindle/Amazon. Don't have a Kindle? 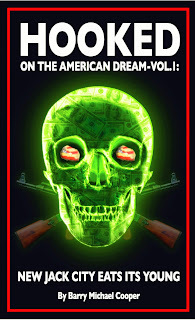 No problem; Amazon has a free app available for download, to read "Hooked On The American Dream-Vol.1: New Jack City Eats Its Young," on your PC, Mac, iPad, iPhone, and Android devices. Click here to go to the Amazon site.